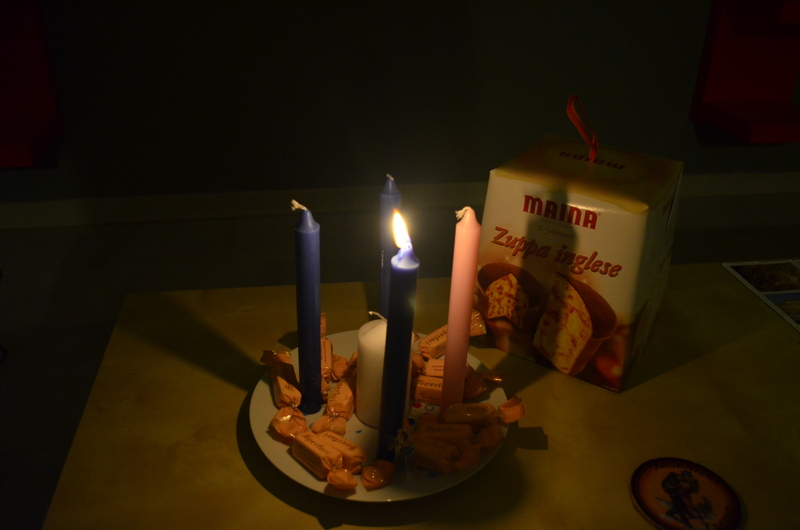 Today is the Third Sunday of Advent, also called Gaudete Sunday. For some inexplicable reason (early onset Alzheimer’s maybe?) I left out Gaudete Sunday last year when I was “unpacking” Christmas, so let me rectify that omission now. 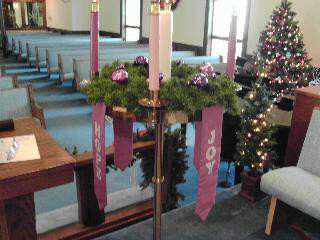 On the third Sunday in Advent we light the third candle on the Advent wreath: the candle of peace. 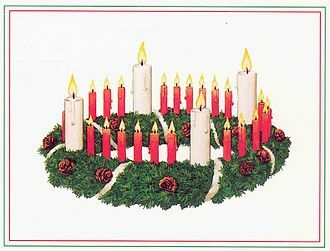 On standard Western wreaths the third candle is pink or rose colored in contrast with the other three which are either violet or purple, and in traditions where clerical vestments are normal, rose is the preferred color of the day. 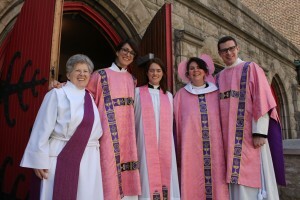 You may also adorn the church with rose-colored articles. In the eastern Orthodox church, and some western European countries the candles on the wreath are all red, as is mine this year (lead photo). I haven’t changed denominations, I just can’t find violet or rose candles in Phnom Penh, but red ones are abundant. This introit carol was made popular by Steeleye Span in the 1970s, but I prefer it in a clerical setting. One year on this Sunday, when I was pastor at Livingston Manor, I had the choir process into church singing the chorus parts while I sang the solo from the gallery: very joyous (but not really traditional). The organist balked because I gave her my transcription from a medieval MS, as is – no measure lines. She was flummoxed, and solved the problem by marking them in. Oh dear! Classically trained musicians can be a pain. 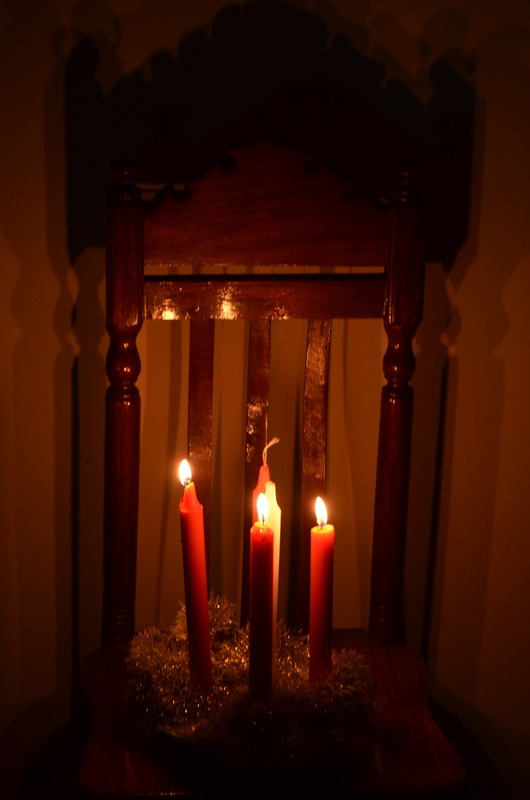 Conventionally in Western liturgical traditions, confession and penance are suspended for Gaudete Sunday because it should be a day of unalloyed rejoicing. Forget about your past wrongdoing, and focus on the good things in your life. I’m always happy when I am cooking. Here is a recipe for an Advent cake created by Jamie Oliver, which I have modified for Gaudete Sunday. Fruit cakes decorated with marzipan are the taste of Christmas for me. 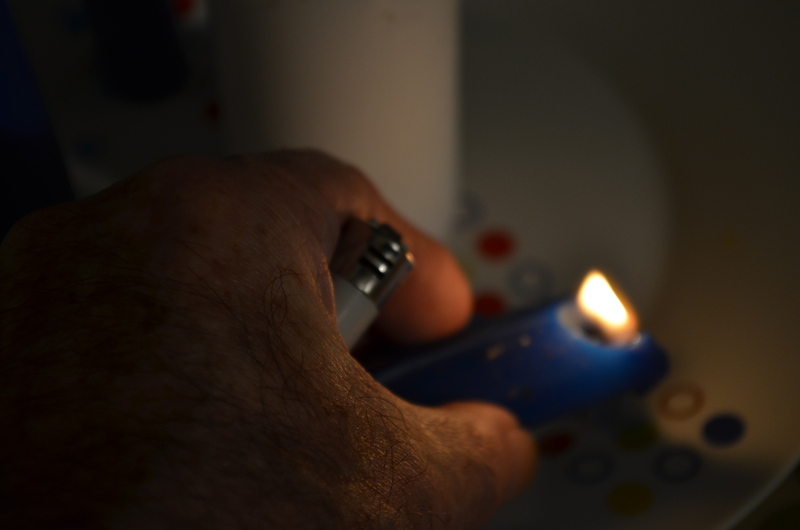 My two photos here give two different ideas. Either color all the marzipan rose, or leave most of the marzipan natural colored and decorate with pink roses of marzipan. In the latter case you will need extra marzipan. 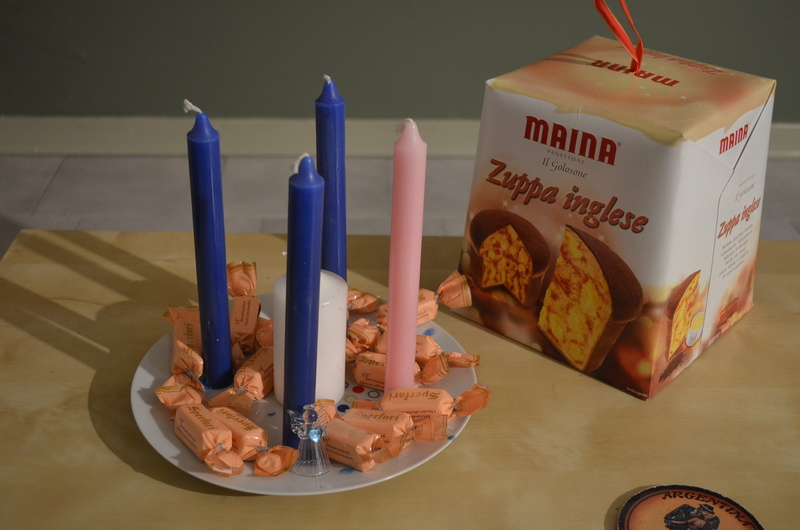 200g marzipan plus extra for additional decorations. 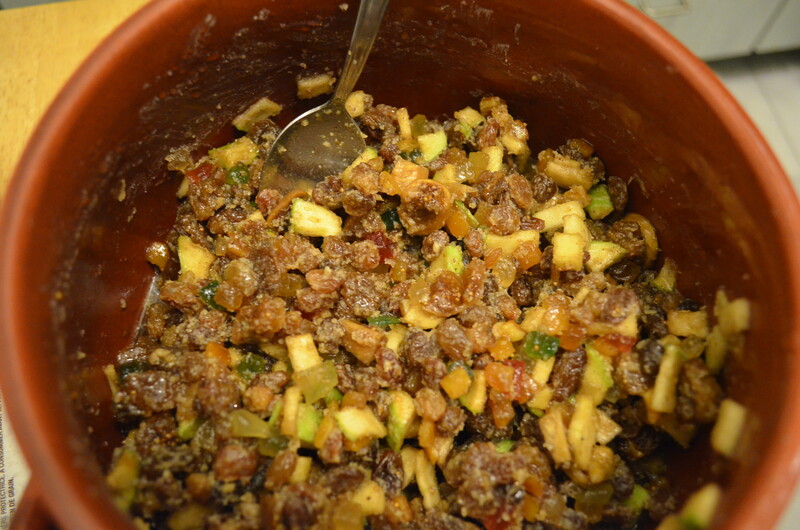 Soak the chopped dried figs, chopped mixed peel and glace cherries in 250ml brandy at least overnight, and preferably longer. I have soaked them for a month with good effect. Heat the oven to 150C/300F Grease an 18cm/7inch square cake tin and line the bottom and sides with baking parchment. Using a stand mixer, cream the butter and sugar in a large mixing bowl, and then mix in the treacle, marmalade and vanilla essence until the mixture is light and fluffy. Add the eggs, a little at a time, and add a tablespoon of the flour mixture at the end. 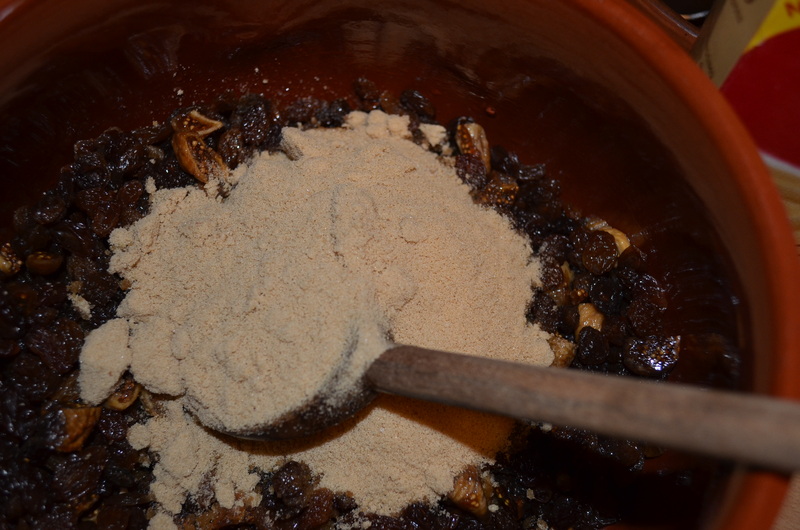 Fold in the remaining flour mixture, don’t use beaters, until well mixed and then mix in the dried fig, mixed peel, glace cherries and the chopped almonds. Turn the mixture into the prepared tin and make a slight hollow in the center. Bake in the oven for 3 hours and then test with a toothpick. If it is not yet cooked through (there is dough sticking to the toothpick), continue baking, testing every 20 minutes until the toothpick comes out clean. 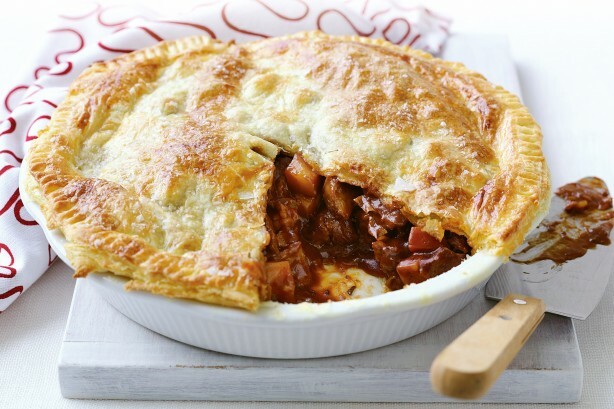 Remove from the oven and leave to cool in the tin for 15 minutes. Then turn out on to a wire rack and let cool completely. Place the cooled cake on a cake plate. Dust your hands with icing sugar and knead the marzipan. 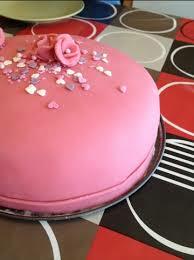 Add a little red food coloring to make it pink, and continue kneading until the marzipan is soft and the color is evenly distributed (if you are making a pink cake). 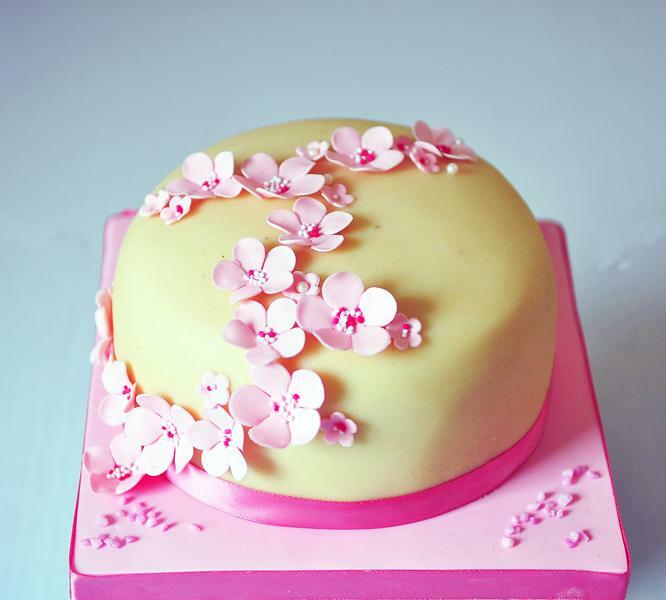 If you are making a plain cake with decorations, knead the extra marzipan with coloring and knead the bulk of it without. Brush the cake all over with the warmed orange marmalade and then place the marzipan on top and around the cake. Decorate as you see fit. Cover the cake with a clean tea towel and then leave in a cool place for at least one day.